This Bundle contains The Penguin, Puppy and teddy kit. 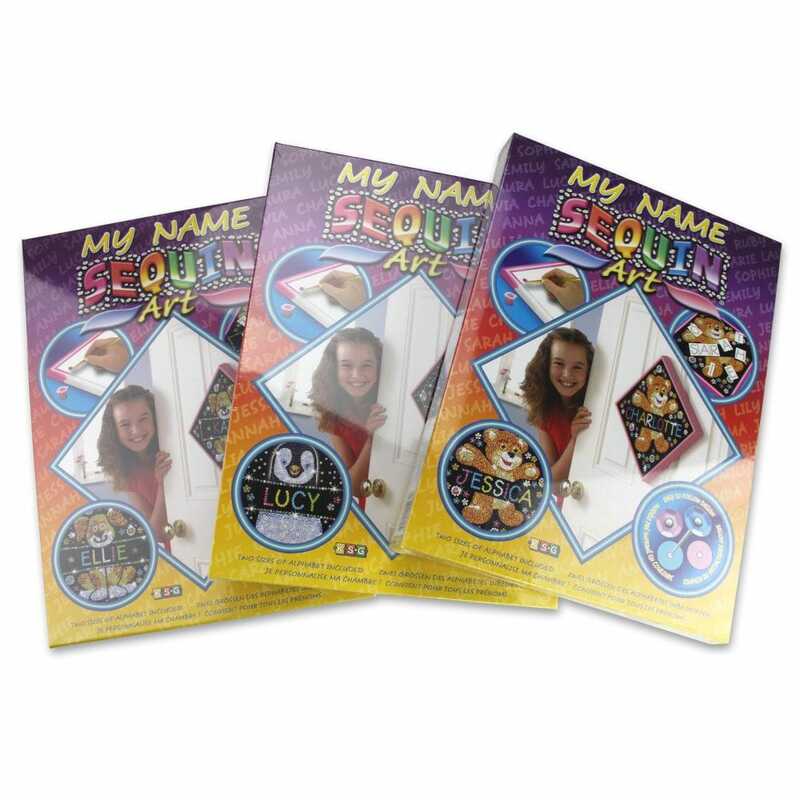 Ideal for birthday presents as they can personalise the sequin art! Get your child’s creativity flowing with the sparkle, shimmer and shine of a sequin art kit. Create a sparkling picture with your name on it and in your choice of colour. You are able to produce a stunning named Sequin Art picture using sequins. This range has a polystyrene frame that can be painted to give you a little bit extra.